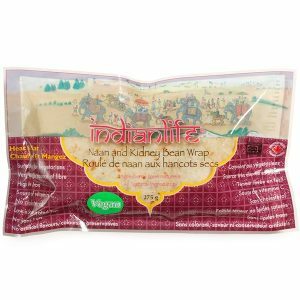 Sundried Tomato and Basil Wrap – IndianLife Foods Inc.
Wraps made with Organic flour with sundried tomato and basil. Their large size makes it excellent for rolling and making fajitas. They are cholesterol and trans fat free and have no yeast as well. 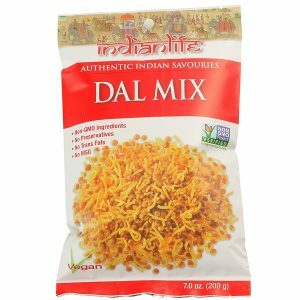 Ingredients: Organic unbleached wheat flour, organic wheat flour, water, sunflower oil, vinegar, sea salt, organic evaporated cane juice, baking powder, tomato powder, sundried tomatoes, spices, dehydrated garlic, dehydrated onion. Contains: wheat May contain traces of peanuts and/or nuts. 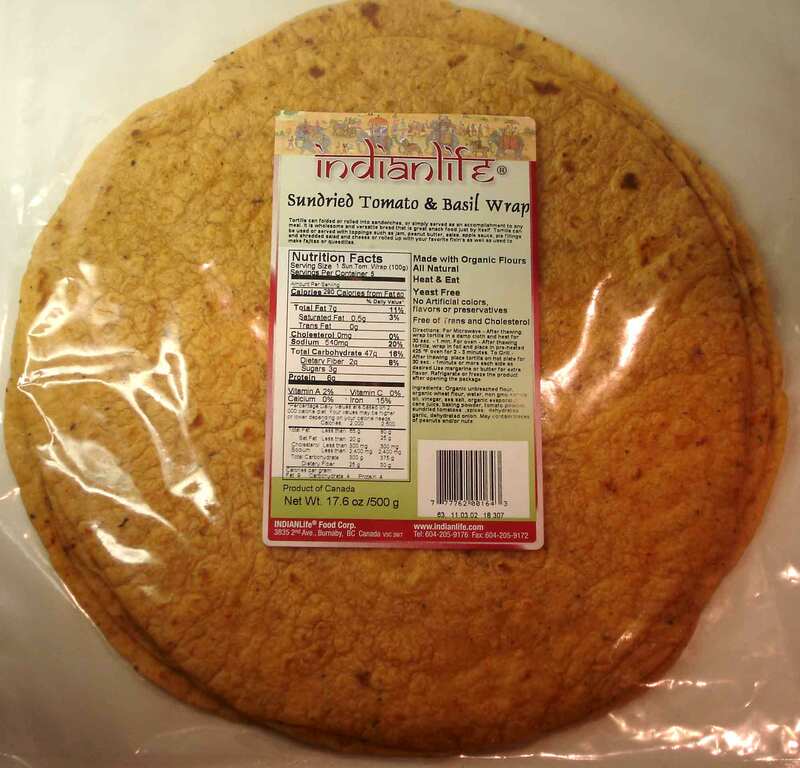 For Microwave - After thawing, wrap tortilla in a damp cloth and heat for 30 sec. - 1 min. 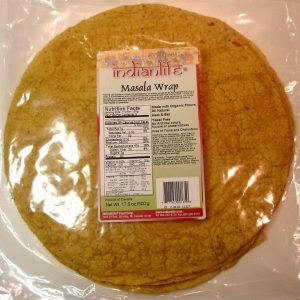 For oven - After thawing tortilla, wrap in foil and place in pre-heated 425 ºF oven for 2 - 3 minutes. To Grill - After thawing place tortilla on hot plate for 30 sec. - 1minute or more each side as desired.Use margarine or butter for extra flavor. Refrigerate or freeze the product after opening the package.